The most critical process for any trading partner collaboration. For buyers aiming to increase supply chain efficiency through the adoption of standardised product data exchange, this is the simplest and most streamlined way of on-boarding suppliers via GDSN/NPC or any other datapool. Utilising the Bizcaps Service Bureau team, we work with you to develop an on-boarding plan, liaise with targeted suppliers and manage the entire process of on-boarding and synchronising their product data for use with your internal systems. 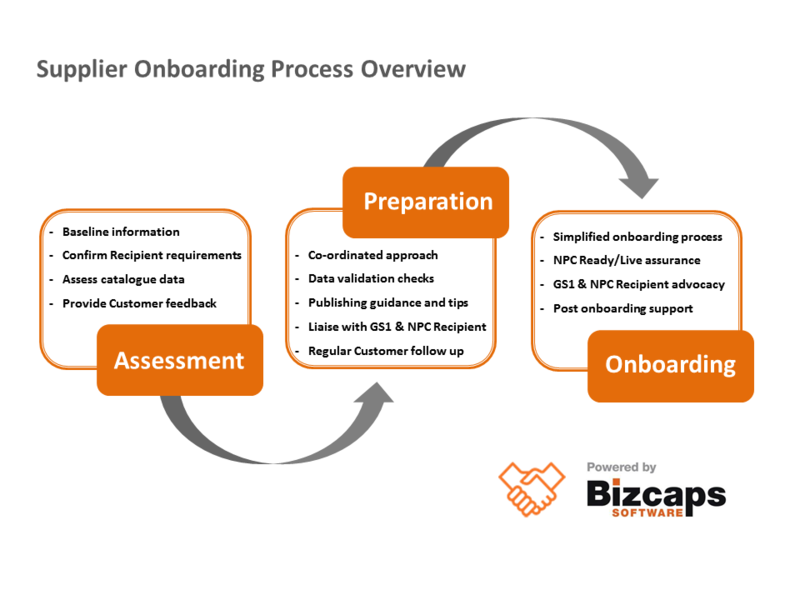 We simplify the onboarding process for suppliers. Our experienced team guides them through the assessment and preparation processes required to achieve smooth onboarding. Bizcaps works in all sectors including healthcare, foodservice, grocery, liquor, office supplies, hardware and other emerging markets.